The Fundraising Regulator warns about fake charity appeals this Christmas. 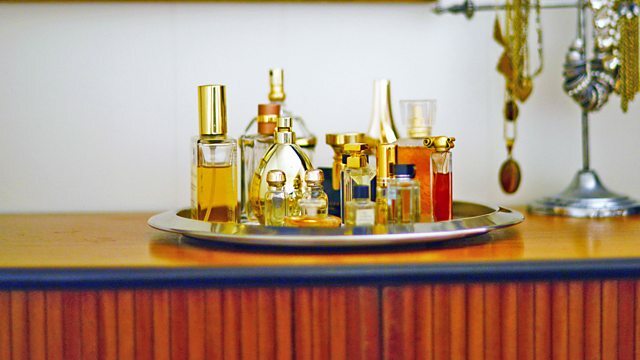 The rising popularity of unisex perfume. Hospitals in England and Scotland are storing up to two weeks' worth of clinical waste on site, after the company contracted to take it away stopped collections. Twenty four NHS Trusts in England, and all of NHS Scotland have had to bring in temporary storage containers to deal with the waste, which contains products such as blood, bodily fluid, and dangerous items such as syringes. You & Yours has learnt that approximately 12,000 NHS GP surgeries, dental surgeries and pharmacies have also been affected by the halted collections. UK cinemas are on track for their best year in five decades. By the end of the month, admissions are expected to exceed 176 million, a figure not seen since 1970. Cinema pundits have long warned that the industry was vulnerable to the increasing popularity of home streaming services, and many customers complain it's an expensive evening out. So what's changed? Would you share your perfume with your partner? Of the 1900 new perfumes launched last year, around 45% were unisex - designed for use by both men and women. We investigate the appeal of non-gendered perfume, and ask what impact it might have on the way scent is marketed to us. The Fundraising Regulator has warned against giving to fake charity appeals this Christmas. The British public donated over ten billion pounds to charity last year, but the regulator says we should always be checking if an organisation is a registered charity. In the last year, the Fundraising Regulator investigated over 1000 complaints about potentially fake charities, and referred over 300 of them to the Charity Commission, Action Fraud or Trading Standards for further action.